If you need help in transitioning back to civilian life, need to heal, and need to move forward with new life skills, Focus Marines Foundations is the best. I cannot speak highly enough of the the experience and the life-changing healing that they provide. I have had the opportunity to read the paper written by Ms. Susan Lea Smith dated January 22, 2016 and titled Federal Ownership of Land in Oregon and Other States West of the Mississippi wherein she critiques a paper written by Ms. Kris Anne Hall. I have not had the opportunity to read Ms. Hall’s paper but can gather the gist of her arguments from the critique of Ms. Smith. Ms. Smith’s paper was written at the request of the Legal Counsel of the Association of Oregon Counties. I write to you as one who shares your Association’s interest in public lands including the rights of States and the obligations of Congress with respect to these lands. I find that each writer (Hall and Smith) is correct in some aspects of her argument but each writer is also in serious error at other critical points in her narrative. It would be unfair of me to make such a statement without offering examples to support it. From Ms. Smith’s paper, I gather that Ms. Hall has argued that the public lands within the respective States are held by the United States “in trust” for the States which will be formed therein. On this point, Ms. Hall is correct. 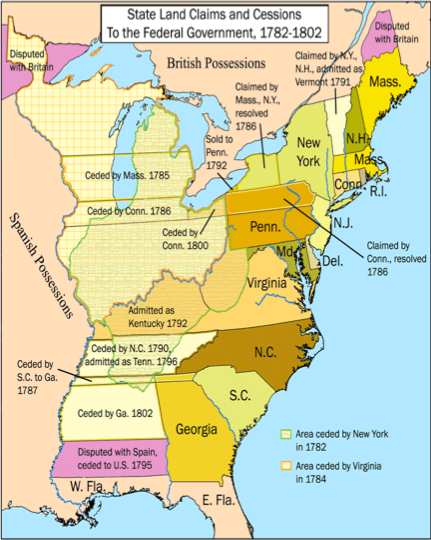 The U.S. Supreme Court has said as much: “Upon the acquisition of a territory by the United States, whether by cession from one of the states, or by treaty with a foreign country, or by discovery and settlement, the same title and dominion passed to the United States, for the benefit of the whole people, and in trust for the several states to be ultimately created out of the territory.” Shively v. Bowlby, 152 U.S. 1 (1894). However, Ms. Hall apparently also says that the Equal Footing Doctrine requires that title in the public lands reverts to the State upon its admission into the Union. This is not true. The Equal Footing Doctrine has nothing to do with the transfer of title. Rather, the doctrine pertains only to political rights and sovereignty: “The ‘equal footing’ clause has long been held to refer to political rights and to sovereignty. See Stearns v. Minnesota, 179 U.S. 223, 245.” United States v. Texas, 339 U.S. 707 (1950). Political rights include those powers retained by the States under the 10th of the Bill of Rights, the guarantee of republican self-governance under the constitutional Guarantee Clause, and territorial sovereignty equivalent to that of the original States, which sovereignty was complete and undiminished: “Each (former colony) declared itself sovereign and independent, according to the limits of its territory.” “[T]he soil and sovereignty within their acknowledged limits were as much theirs at the declaration of independence as at this hour.” Harcourt v. Gaillard, 25 Wheat. 523, 1827. “(I)f Congress should determine that the great body of public lands within the state of Minnesota should be reserved from sale for an indefinite period it might do so, and thus the lands be exempted from taxation; and yet it cannot be imputed to Congress that it would discriminate against the state of Minnesota, or pass any legislation detrimental to its interests. It had the power to withdraw all the public lands in Minnesota from private entry or public grant, and, exercising that power, it might prevent the state of Minnesota from taxing a large area of its lands, but no such possibility of wrong conduct on the part of Congress can enter into the consideration of this question. It is to be expected that it will deal with Minnesota as with other states, and in such a way as to subserve the best interests of the people of that state.” Stearns v. Minnesota, 179 U.S. 223 (1900). I turn now to the paper by Ms. Smith. Ms. Smith argues that the Article IV Property Clause pertains not only to federal territories but also to lands acquired by the United States under authority of the Article I Enclave Clause. At the same time, she argues that proper interpretation of the Constitution requires, in part, that we “consider the history and context surrounding the adoption of various constitutional provisions in order to discern the Founders ‘original intent’ in adopting the text’s language or the ‘original meaning’ of the text.” When one refers to the history and context in which the Property Clause was written, as Ms. Smith recommends, it is found that the Property Clause was written solely for the purpose of dealing with the unappropriated federal territorial lands. The agenda of the Constitutional Convention on August 18, 1787 reads, in part, as follows: “The propositions are as follows – To dispose of the unappropriated lands of the United State s.” Records of the Federal Convention, 1:247; Journal, 18 August. On August 30, 1787 the following motion was made and adopted with Maryland only objecting: “The Legislature shall have power to dispose of and make all needful rules and regulations respecting the territory or other property belonging to the U. States; and nothing in this constitution contained, shall be so construed as to prejudice any claims either of the U. S. or of any particular State.” Records of the Federal Convention, 1:276; Journal, 30 August. The underlined portion of this motion is the constitutional Property Clause. It is clear from this record of the Convention that the Article IV Property Clause was written for the purpose of providing Congress with the constitutional authority and, therefore, the constitutional duty to “dispose of the unappropriated lands of the United States” and not for any purpose under or in furtherance of the Article I Enclave Clause. Ms. Smith’s proposition that the authority delegated to Congress under the Property Clause was intended by the Framers to extend to Article I Enclaves fails also on purely logical grounds. Why would the Framers extend Property Clause powers to federal enclaves when the Enclave Clause itself delegates to Congress “the power to exercise exclusive Legislation in all Cases whatsoever” over them? Would not any like power in the Property Clause be needlessly redundant? From this small bit of history it is plain that the Article IV Property Clause was written for the sole purpose of dealing with unappropriated federal territorial lands and not Article I enclaves. Thus, when federal territorial lands were admitted as new States, and having lost “the appellation of territory,” the Convention, I suggest, referred to the remaining, unappropriated, federally held lands as “other property.” As mentioned above, this “other property” is today’s public lands. There is no logical or reasonable way to construe these two words as pertaining to Article I enclave lands. Ms. Smith also says that we should consider “how the Constitution has been authoritatively interpreted by federal courts over the past two centuries.” On this point, I agree with Ms. Smith. However, the U.S. Supreme Court has not construed the constitutional Property Clause with complete consistency. In the words of the court, there has been “contrariety” in judicial opinion with regard to this clause. The purpose of the enclosed booklet is to examine this “contrariety” and, from this examination, determine which line of judicial reasoning is consistent with original intent. In addition, the booklet discusses the author’s theory as to how this “contrariety” of judicial opinion came about. I offer this complimentary copy to you in the hope that it will broaden your understanding of the Framer’s original intent and the actual meaning of the plain words of the constitutional Property Clause. “What has been will be again, what has been done will be done again; there is nothing new under the sun.” Ecclesiastes 1:9-14. In evidence of this wisdom, a parallel may be drawn between the Boston Tea Party of December 1773 and the “Public Land Initiative” being promoted today by Congressmen Rob Bishop and Jason Chaffetz and which has been endorsed by Governor Gary Herbert. The common element between that historical event and the present “Initiative” is the attempt by a politically and geographically distant government to perpetuate absolute, centralized, and supreme political power at the expense of local and sovereign municipal self-governance. Consider the circumstance of the Boston Tea Party. “The parliament closed the debate, by …, impos(ing) some trifling taxes …, as an entering wedge into the colonial claim of local supremacy, to be gradually driven up to the head. In that on tea, the ingenuity was used of attempting to establish a ruinous precedent, by conferring a pecuniary favour, in diminishing the price of the article in favour of the colonies. But the colonies, too wary to be caught by a gilded hook, detected, resisted and defeated the artifice.” Construction Construed, and Constitutions Indicated, by John Taylor, Richmond: Printed by Shepherd & Pollard, 1820, edited by Jon Roland 2002. Colonial resistance to absolute, centralized, and supreme political power increased until revolution broke out. After seven years of brutal warfare, birthright sovereignty was vanquished in America and the people themselves became sovereign. Local self-governance within free and independent states, united only for certain and enumerated purposes under a national constitution, gave rise to the greatest nation and the greatest degree of personal freedom and prosperity that the world has ever known. How does the Boston Tea Party correlate with the Public Land Initiative? 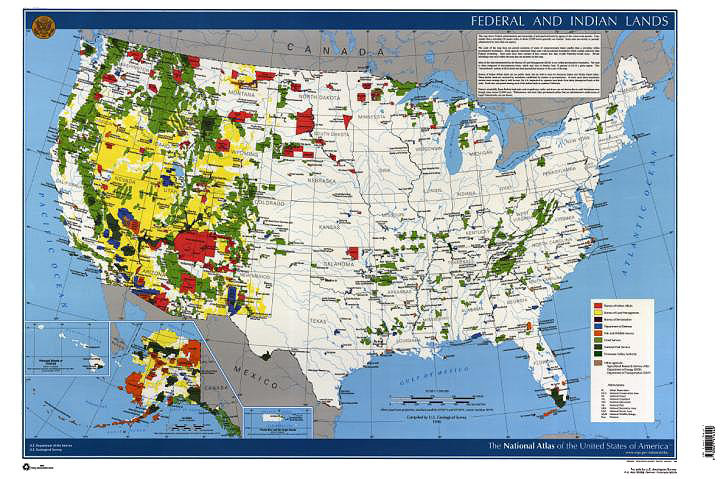 Under the “Initiative,” federal land management priorities would be adjusted. According to its sponsors, the “Initiative” would “strike a real balance between conservation and responsible development,” and it would “establish greater certainty about the way our public lands may be used.” But absolute, centralized, and complete federal management authority remains unaffected. A list of “benefits” is offered in support of the “Initiative.” Listed benefits are regulatory certainty, revenue from multiple use management on some of the land, and responsible use of the land for both present and future generations. This list of “benefits” is today’s “gilded hook.” Acceptance of the “Initiative” under the belief that acceptance is necessary to secure the listed benefits will be seen as tantamount to official state acceptance of continued federal ownership of our public lands as well as complete and supreme federal maritime and territorial jurisdiction over them. As crucial, official acceptance of the “Initiative” under the belief that acceptance is necessary to secure the listed “benefits” will be cited at some opportune time as “Exhibit A” in opposition to Utah’s constitutionally grounded demand for transfer of its public lands from federal to state ownership and governance. “What then is the extent of jurisdiction which a state possesses? We answer, without hesitation, the jurisdiction of a state is co-extensive with its territory; co-extensive with its legislative power.” U.S. v. Bevans, 16 U.S. 336, 1818. “There is in the nature of government an impatience of control that disposes those invested with power to look with an evil eye upon all external attempts to restrain or direct its operations. This has its origin in the love of power.” Alexander Hamilton – The Federalist, 1787. I fail to understand how anyone can at once profess to understand and swear allegiance to the formative and constitutionally based principles of this country, which are the bedrock of our liberty, and, at the same time, refuse the glorious opportunity now presented under Utah’s Transfer of Public Lands Act to be associated with reaffirmation of those principles.